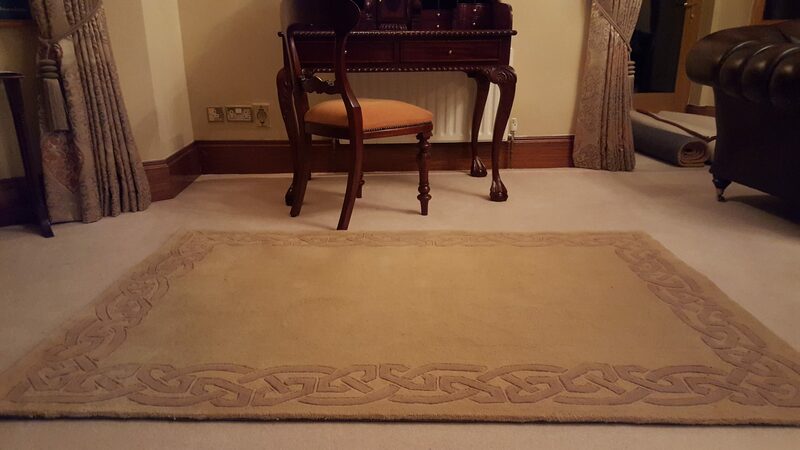 The Oaten Wool Area Rug was Handmade in Ireland and designed based on the manuscripts in the Book of Kells and Book of Durrow. It is part of our ‘Eternity’ Product family, which is known for it’s distinctive Gold, Knotted borders. This handmade, beige area rug was designed as a simple, elegant center piece to suit any home. The piece is inspired by the legendary creations of the Celtic tribes of Ireland and features their famous eternal knot in brown running along its border. 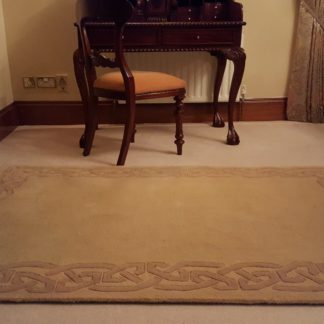 The Oaten wool area rug is inspired by the iconic designs in the Book Of Kells and Book Of Durrow, which are both now on display in Trinity College Dublin.